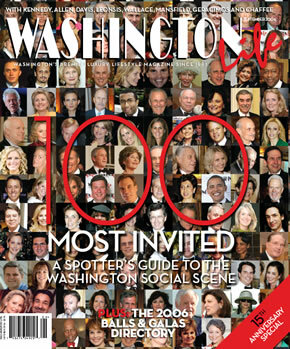 A spotter´s guide to the Washington social scene. WL anniversary party pics and retrospective of the last 15 years in our ever-changing city . A complete list of D.C.'s biggest events . Charity Works 100 Point Wine Tasting, celebrity chefs and Virginia wine country . Get the lowdown on the D.C. mayoral candidates.